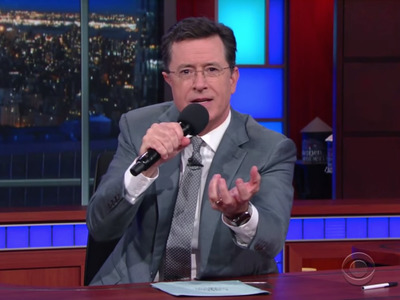 Stephen Colbert is really peeved that the US senate failed to pass any gun control bills on Monday. In the wake of the Orlando shootings and last week’s nearly 15-hour filibuster by Democratic senators, the senate failed to pass any of the four gun control bills presented this week. To express his anger, Colbert decided to drop the niceties in a segment called, “Stephen Colbert Takes the Gloves Off.” In it, he drops a hailstorm of jokes on the senate for their big failure in passing a gun control law.